Legal & General has strengthened its Retail Retirement business with two senior appointments. Steve Ellis has been appointed CEO of Legal & General Retail Retirement Living Solutions and Claire Singleton becomes CEO of Legal & General Home Finance. They will report into Chris Knight, CEO of Legal & General Retail Retirement. Steve will start his new role at the beginning of April and Claire will take up her post at the end of the year following the completion of the transfer of the Mature Savings business to ReAssure, part of the Swiss Re Group. Claire’s appointment is subject to regulatory approval. Chris Knight will manage Legal & General Home Finance in the interim period. Steve also joins the Board of Legal & General’s Care Sourcer, a digital platform designed to bring greater efficiency to the care market. In a pilot with Gloucester NHS Trust, Care Sourcer helped address almost half of delayed discharges by matching people with care providers within 48 hours. 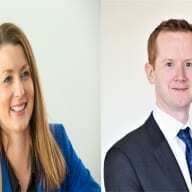 The post Legal & General strengthens Retail Retirement business with new appointments appeared first on Care Home Professional.